In lieu of flowers memorial donations may be made to Cedar County Relay for Life and left at the funeral home. Howard Vernon Simmons, 79, of El Dorado Springs, MO, passed away Sunday, May 20, 2012, at Mercy Hospital in Springfield following complications from a stroke. Howard was born October 3, 1932, in Haskell County, Kansas, to Virgil Thomas, Sr. and Lillian (Brundage) Simmons. Around 1935, the family moved to Dade County, Missouri where there were five brothers and five sisters raised on farms in and around Crisp and Arcola, Missouri. He was united in marriage to Anna Joy (Roby) of Stockton on August 1, 1953. 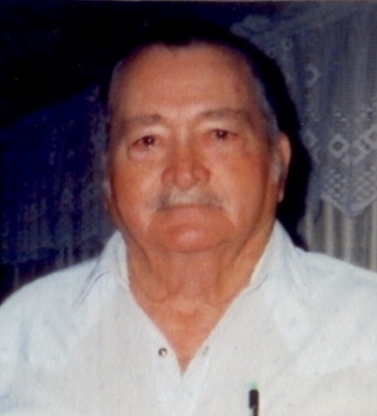 They lived in the Kansas City area until 1960 when Howard became service manager for the Chevy dealership in El Dorado Springs, serving in that capacity for various owners until opening up his own garage near the east city limits of El Dorado Springs where he served his loyal customers until medical retirement in 1986. Howard was an avid hunter and fisherman. He loved to cook whether it was BBQ in the big smoker on wheels his son-in-law built for him or chili in the area contests where he was always dishing up the food. He loved sneaking out in his mother's garden and "poaching" a ripe veggie for a snack, a tradition he carried on in later years in his pick-up with tail gate down for a snack in his daughter's garden. He loved raising funds for charities by selling raffle tickets or working the cook shack at the picnic or other special events. He loved working with the Eagles and Optimists where all of his pet phrases and nicknames were shouted loud throughout the event. Whether you called him Big Howard or Big Red you always knew where he was by the signature, "You Know Me Doncha?" bellowed out loud and proud. Howard was preceded in death by his parents, three brothers: Virgil Thomas Jr., Earl and Marvin, and four sisters: Dorothy, Bernice, Thelma and Marian. Survivors include his wife Anna Joy of the home; one daughter Lisa Brown and her husband Brian of El Dorado Springs; one granddaughter, Bobbi and her son Cooper of El Dorado Springs; one sister, Clara June Griffin and her husband Pete of Shawnee, Kansas; one brother Loyd Simmons and his wife Jerene of Roscoe; and special sister-in-law Naomi (Sug) Simmons of El Dorado Springs. Howard is also survived by a host of nieces, nephews, cousins, special friends, in laws, outlaws and other assorted friends including his brothers at Optimist Club of El Dorado Springs and Tri Lakes Aerie #4279 Eagles of El Dorado Springs. Visitation is scheduled for Wednesday, May 23, 2012, at Bland-Hackleman Funeral Home of El Dorado Springs from 6 to 8 p.m. Funeral services for Howard Simmons will be Thursday, May 24, at 10 a.m. at the Bland-Hackleman Funeral Home with Rev. Jesse McCallister and David Studer officiating. Musical selections will be provided by Paula Newman and Terry Simmons. Burial will follow in the El Dorado Springs City Cemetery under the direction of Bland-Hackleman Funeral Home. Pallbearers are Travis Roby, Terry Simmons, Harold Ray Simmons, Ronnie Simmons, Darrel Gene Simmons and Ivan Simmons. Honorary pallbearers are Brian Brown, Kent Esry, Jack Tough, Loyd Simmons, Melvin Simmons, Pete Griffin, Mike Manley and Ronnie Leonard.